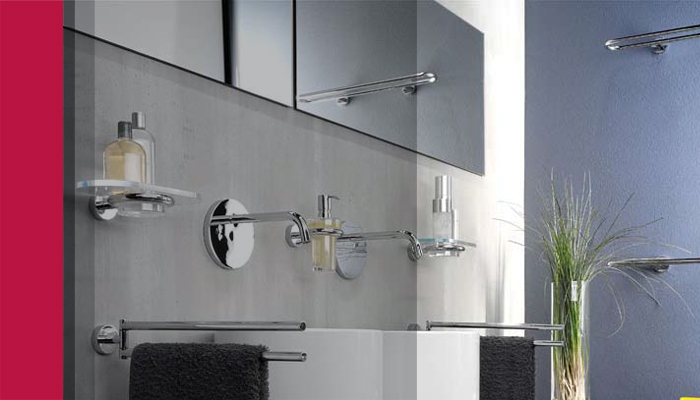 Conforming to how the Indian Industry works where typical sanitary retailers also sell sink units and faucets for kitchens, Hafele has clubbed all products for Kitchen Sink units and Bathroom fittings under its Sanitary Solutions Range. Through this range, we introduce some reigning technologies in global markets in the form of designer kitchen sinks & faucets, washbasins & faucets for Bathrooms and a magnitude of shower solutions. Apart from housing our own core range, we have also strategically partnered with Global Leaders in Kitchen and Bathroom technologies and selected such innovations from their range that combine contemporary designs with world-class functionality and strictly conform to the practicing quality standards worldwide. If you have any question about our products, feel free to contact us or download the latest catalogues.